When I first started interviewing recruiters to join my team, there were no teammates to participate in the interview process. It was very easy to give the candidates a good sense of the team culture, since I happened to be “the team” at the time. Once I grew the recruiting team, there was a mix of personalities and attitudes on the team that I would never have been able to properly explain or portray to a candidate in an interview. By including my team members on the final round of interviews, candidates were able to get a better feel for the team as a whole. Each team member would explain their responsibilities to the candidate as well as their reasoning for choosing our company when they made their employment decision. I found that candidates grew to appreciate the opportunity with our company more after they saw what our team looked like and how we all interacted. Including your team on interviews is an excellent way to show a candidate what your team culture is really like. Not only does including your team on interviews allow the candidate to better understand your team culture, but it also improves your team culture. When you include your team in hiring decisions, it lets them know that you respect their opinion and that you value your team’s synergy. After I started including my recruiting team in the final interview and hiring decisions, I quickly noticed a change in the team morale. The hiring decision no longer remained only with me, but with the team as a whole. This allowed our team to grow closer and better understand each other’s thoughts and opinions. When you include your team in the interview process, you are building team morale as well as gaining buy-in from your team on the final hire. When interviewing any candidate for a position on my team in the past, I always found it important to paint a picture of how our business operated and interacted. Over the years, I developed a very detailed and thorough explanation of our company’s history, growth, values, and future goals. Since this was something I was very passionate about, it was an easy part of the interview process for me that I truly enjoyed. However, sometimes hearing these things from one person, a manager, isn’t enough for candidates to truly understand and take to heart. By including my team members in the interview process, it allowed candidates to hear their individual stories and better understand the individual contributors that made up our strong recruiting team. By including your team in the interview process, you are painting a picture of your team and operation to each candidate, allowing the candidates to understand what it is like to be a part of your team. 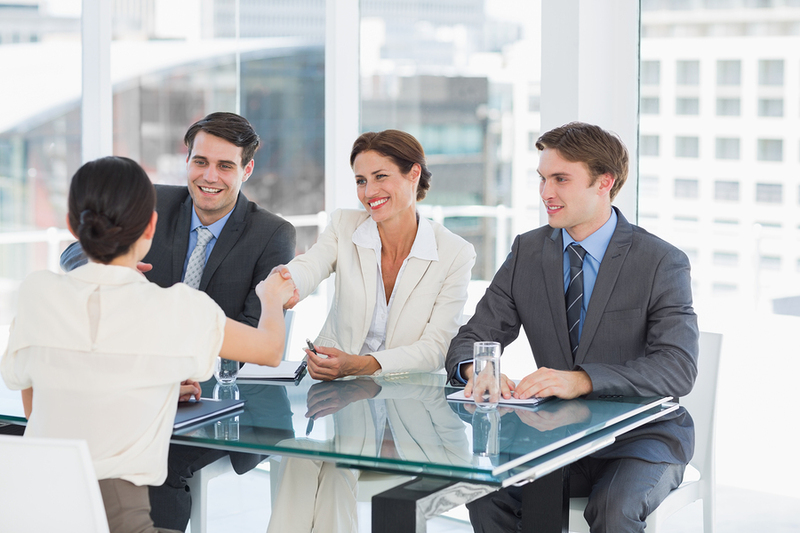 What are some reasons why you would like to include your team in on the interview process? Please share your thoughts below.